Fr. Josh tells us if getting tattoos are a sin, and gives his personal thoughts on the incident involving the Covington Catholic High School student, and offers advice on how to approach disagreements between a priest and the parish office staff. If you have a question, comment, or response for Fr. Josh, email us at askfrjosh@ascensionpress.com. You may hear your question or comment in an upcoming podcast episode! We call Adoration exposition of the Blessed Sacrament, where Christ exposes himself body, blood, soul, and divinity to us in prayer. His invitation is for us to expose our hearts as well. Freedom is real. Freedom is so real. Today Fr. Josh encourages you to bring to the light of our Lord in the Blessed Sacrament any of your struggles that were brought on by the hands of someone else. Expose your heart so that he can heal you but also be open to healing through other people. If you have been living in shame, bring it to Christ through prayer. Also tattoos, my mom and I both kind of want to know your take on them. I’ve done a lot of research on tattoos and whether or not they are considered a sin. A lot of people bring up the Leviticus 19:28, ”You shall not make any cuttings in your flesh for the dead, nor tattoo any marks on you: I am the Lord. ” But I feel like people take that out of context. A lot of articles I read say that it was meant by evil tattoos like skulls and pentagrams for example. If your tattoo has a meaning it wouldn’t be a sin. Is that true? My boys and I are enjoying the podcasts so much. We love how you “keep it real”. This will be so controversial so I’m not sure if you can talk about it but I feel comfortable enough to ask. So what place do you feel MAGA hats have at the March for Life? I’m of course talking about the Covington Catholic students. How do Catholic teachings align with the Make America Great Campaign? If this is not ready for prime time I’d love to hear your thoughts one on one. My boys are having a hard time with this. In previous episodes of your podcast, you mention a lot about your humility as a priest and that you are a human being with faults too. I understand fully that priests aren’t perfect, but does there get to be a point where the priests step over the line when it comes to decisions regarding parishioners and the parish? I am asking because my mom works at our parish as a Religious Education coordinator for my hometown parish and she has been doing it for the past 4 or 5 years. Recently, she sent out an email asking about someone trying to get rid of eggs, and I guess a parishioner complained to the priest that my mom had overstepped her boundaries. The priest then told my mom that “she should consider using her talents elsewhere.” This isn’t the first time that she has gotten in trouble with the priests over petty things. About two years ago, another priest from the same society originally fired my mom via email over something little that she did. I think it was a disagreement with another parishioner who the priest favoured. Eventually, my dad had to step in and talk to the priest about what happened. The priest let my mom have her job back. Then about a year later, my mom got in trouble again, and again my dad had to come to her defense for her job. To give background information on my mom, she’s not someone who is slacking or lazy. She always gives 110% to the parish and she and my family have been supportive of the parish for the past 21 years. Technically, she is working a part-time job at the parish, but she is working more than 20 hours a week while also working a couple other part-time or seasonal jobs. I will admit that she is stubborn and sometimes likes to be in control of the reigns regarding certain aspects, but she works hard at her job and that she has some disagreements and little arguments in the past with the priests, but she is someone who will speak her mind and doesn’t want to be someone who is always having to agree with the priest’s decisions (I know that when it comes to the sacraments and regarding the faith, of course, the priest should have the saying). I know that I am speaking from a daughter’s point of view and what I’ve heard my parents talk about, but I don’t believe that she should get fired over little arguments and disagreements with the priests. In addition, these disagreements deeply hurt her, dad, and us (her children) both in the past and what has happened recently. I’d like to say that I like the priests, but when these events happen, it takes a bit of my trust and respect from them. She (and my dad) does a lot for the parish, and sometimes I don’t think the priests actually realize how much. I don’t want to sound all negative towards these priests either. They have done a marvellous job making the Sacrament of Reconciliation available constantly and have shown us how to respect the Mass. My older brother wouldn’t be currently in the seminary without these priests. But, their lack of social and expressive skills have really hurt us. As a third party and as another priest who I feel comfortable sharing this with, are all priests taught that their decision is the best one? Is it okay for a priest to fire someone over such little problems that can have other solutions? Arguments Between Priests and Parish Staff – Nobody’s perfect, we are all broken. Pray for the gift to see each other as God sees us. While Fr. Josh was raised Catholic, he didn’t like the Church growing up. One day, in adoration, he fell in love with Jesus and received the call to become a priest. Now, Fr. 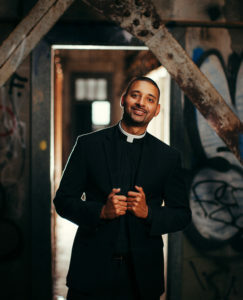 Josh is the pastor for Our Lady of the Holy Rosary Catholic Church in Louisiana, and he is a presenter in two of Ascension’s programs: Altaration, and YOU: Life, Love, and the Theology of the Body and author of Broken and Blessed.